2019 MyPoints Survey Rewards App Review: Is it legit & Safe? InboxDollars App Review: Legit or Scam? How Much Money Can You Make? Survey Junkie Review: Legit or Scam? How Much Money Does it Pay? 2019 Digit App Review: Savings App That’s Not a Scam. Acorns Better? Best Digital Coupon Apps in 2019: Restaurants, Grocery, Fast Food etc. 2019 DealDash App Review: Is it Legit or a Scam? How Does it Work? 2019 Credit Repair Services Review: Is Lexington Law Really the Best? IdentityForce vs Identity Guard Review: Plans, Better Than Lifelock? 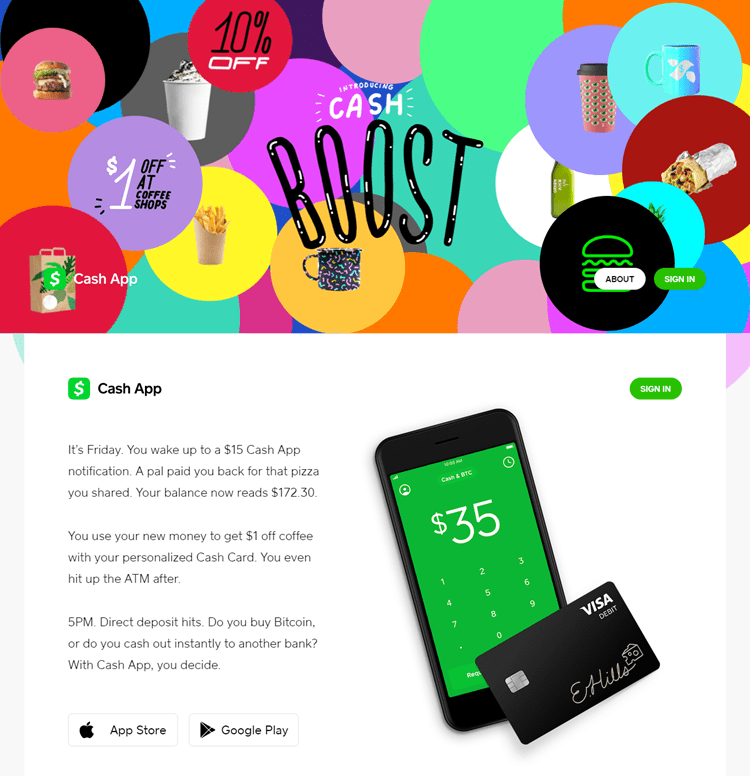 Dosh Cash App Review: Scam or Legit & Safe? How Does it Work at Stores? Ebates App Review: Are Store Cash Back Rewards Legit? How Does it Work? Hulu Free vs Hulu Live TV, Plus 2019 Cost Review: Better Than Netflix? Budgetboost.co is supported by its readers. If you click on or buy something via a link on this page, we may earn a commission. Square is the mobile payments company which created the Square Cash app. It is a popular cash-transferring application that can be found and downloaded from Cash.me. Users will find that it is similar in style to applications such as PayPal, Venmo and Google Wallet. The Square Cash app will let users send cash safely and directly to anyone else using their email or other users within the app. Money can be sent using a linked credit or debit card. The app is free to download and use and can be found in the Google Play and iTunes stores. 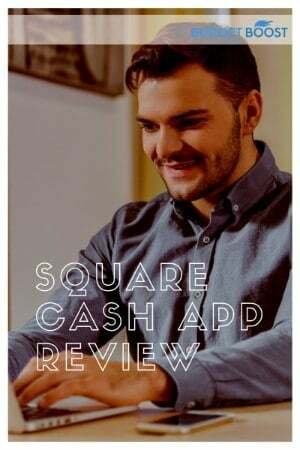 You can also check out the hundreds of Square Cash reviews before you make your final decision to download it. Similar to other payment apps such as Venmo, Square Cash allows users to process their cash transfers by sending “cash” straight to other people using their linked credit and debit cards. It has been found by eMarketer that almost one in three smartphone users will use a money transfer app to send money to someone they know at least every six months or less by the end of 2020. As the years go by, fewer and fewer people will forgo physical cash and electronic funds transfers and use money transfer apps such as Square Cash instead. This app, along with the others, allows users to make transfers instantly to friends and family using their devices. How Can You Sign Up For A Square Cash Account? Is Square Cash Safe To Use? How Does Square Cash Compare To Their Competition? How does Square Cash work? How to use Square Cash? How long does Square Cash take to deposit? How to delete Square Cash account? How does Square Cash make money? How to get Square Cash card? How to connect cash drawer to square? Can you use a credit card with Square Cash? How to sign up for Square Cash? Are Square and Cash app the same? How is Square Cash free? How much does Square Cash charge? Does Square Cash charge a fee? What is Square Cash app? Does Square Cash cost money? Why does Square Cash ask for SSN? Does Square Cash accept prepaid cards? What is virtual card on Square Cash? How to set up square cash drawer? Where can I use Square Cash card? Does Square Cash take American Express? How to send money on Square Cash? Why was my Square Cash payment refunded? How to pay someone through Square Cash? How do I receive money from Square Cash? Does Square Cash transfer instantly? How to send money to Square Cash? How much money can you send through Square Cash? Does Square Cash work in Canada? Can I send Paypal to Square Cash? Can you use Square Cash card at ATM? What does cash out mean on Square Cash app? How to cash out from Square Cash? How to transfer money from Square Cash to bank account? Why is Square Cash not working? How to contact Square Cash? Can you cancel Square Cash payment? How do I contact Square Cash by phone? How to get money back on Square Cash? Can you use Square Cash without a debit card? Can I have two Square Cash accounts? Does Square Cash have a phone number? Get our in-depth guide that will teach you how to save more, make more & transform your finances. The Square Cash application allows any user the ability to send money instantly. However, this money transfer service is to send and receive money with friends and family. In order to use it for business transactions, you must open a separate Square Cash business account. Find, download and open the free Square Cash app from Google Play or iTunes. Open up the app on your smartphone and enter your email address or telephone number. You will use this to request a confirmation code to verify your account. Once you receive your verification code, enter it and then choose the personal account option. The next and final step is to follow the in-app prompts to finish linking your bank account or credit card to your account. This is necessary for sending or receiving cash payments. In order to use the Square Cash app, you must be at least 18 years old. Additionally, you need to be a United States citizen. It should be noted that this app is not eligible for use in the U.S. Virgin Islands, Puerto Rico or other U.S. Territories. To transfer money using the app, you will have to use an in-app feature. This is done in conjunction with the company’s website, Cash.me. The feature is referred to as “Cashtag” and is used to put a dollar sign before your selected tag and you are able to share that tag with other people, such as friends and family, who are wanting to send you money. For example, if you choose a Cashtag called “Tom,” those who would like to send you money would go to Cash.m/$tom. It is as simple as that. Enter a payment amount of at least $1 and choose the “Pay” option. Enter the intended recipient’s Cashtag, telephone number or full name. Once finished, tap the “Pay” button on the top right corner of your app’s screen. Check and verify your iPhone has the current operating system installed. Click on the settings menu. Select Siri option, then click App Support. Select from your phone’s contact list who you would like to send money to. Tap the Apps icon in your iMessage screen. Select yes or no to the “gift wrap” option for your transfer. This will hide the amount of money you are sending until the recipient opens it. Choose which payment card to fund the money with. Add a message or comment and then send the money transfer. In order to receive a money transfer with Square Cash, you will have to add your checking account information or a valid debit card into your app. You can also use these options to add money to your account to make payments. When you receive money, you are able to cash out those funds whenever you want. Snapchat users can use a feature called Snapcash. This is a way to receive and send payments using the Snapchat app and Square Cash. There are a couple options to choose from in order to send money this way. Once on a friend’s feed, swipe right. Enter the amount of money you would like to send them and you will see a green Snapcash button. Press the button and it will first prompt you to accept the app’s Terms of Service. During your first use, you will need to enter your payment information. Signing up for the Snapchat Square Cash feature is simple. Under the settings menu, click on the “Snapcash” option. It will then prompt you to enter a valid payment option such as your credit or debit card. Square Cash is different than other popular money transferring apps such as Venmo and PayPal. When you want to send money to someone else, they are not required to sign up for an account. When you send money using your debit card, you will not be charged any fees. There are also no fees for cashing out any money you receive when you choose to have it sent to your bank account. There are a few fees for certain transactions using Square Cash. For an instant, same-day deposit, you will be charged a fee of one percent. When you send a payment using a credit card instead of a debit card, there will be a fee of three percent on that payment amount. Additionally, Square Cash has limits to the amount you can send and receive using a personal account. Initially, the limit is set at $250 a week for sending payments. For anyone wanting the ability to send more money than that, it will require you to verify your name, birthday and your Social Security number. Once you have completed the verification, your new sending limit will be raised up to $2,500 each week. At first, there is a limit of $1,000 every 30 days for receiving money payments. The same verification process is used when you want to be able to receive unlimited amounts. Cashtag- Many users love the idea of Cashtag because it is a convenient option that doesn’t require a recipient to give out their email address. Different Payment Options- There are several options for sending and receiving money using the application. A user may choose to send and receive through their computer, their smartphone and even through other social media apps such as Snapchat. No App Fees- There are no fees for simply using Square Cash. You will only be charged small fees when you make instant transfers or use a credit card for a transaction. There is no fee for making personal transfers to your bank account. Rewards- You can earn a bonus if you get a friend to sign up under you and use Square Cash. Your friend will also get a bonus if they use the app to send $50 or more within the first two weeks. Great Customer Service- All Square Cash users can rest assured there are dedicated representatives to help them if they have questions or need help. The customer service phone number is 855-700-6000. Their offices are open for calls Monday through Friday, from 6 a.m. until 6 p.m. PST. Fees To Use Credit Cards- If you choose to have a credit card as your payment method, there will be a three percent fee for each transaction. This may put a little dent into your earnings if your credit card has a rewards program. Only Valid In United States- With Square Cash, there is currently no option for sending money outside of the United States. If you are stationed overseas in the military or working in another country, you will not be able to use the app to send or receive money from home. No Account Mixing- For those who like to mix their personal and business transactions, this is not a good app to use. Square Cash requires separate accounts to be opened if you want to perform both personal and business transfers. The app will send users messages through text, email and push notifications when their account is registering activity. Square Cash also has anti-fraud measures installed to help protect against charges which are not authorized by the user. CVV and encrypted data are a few extra security options the company has installed in their Square Cash app. Venmo has more built-in features for users to take advantage of over Square Cash. This includes the ability to make payments by linking different apps to your account. The Venmo app will also keep a detailed user history which includes your purchase history and money transfer history. This option is also found in the Square Cash app. However, Venmo allows you to share your transactions through social media. If you are just wanting a simple way to send and receive money without extra frills, Square Cash is the best bet. Similar to Square Cash, recipients receiving money from users will not have to open their own Google Wallet account. Google Wallet also allows their users the option to send money if you run your own sole proprietorship business. This gives you instant access to debit card payments. Bank transfers, however, can take up to three business days to go through. PayPal is a leading contender because it allows users a simple way to send and receive money both domestically and internationally via email. They have a huge number of partner sites that will accept their payment method. You can link your credit card, bank account and debit card to send or receive money through their app or website. The downside to PayPal, unlike Square Cash, is there are steep fees for using both credit and debit cards for personal transfers and transactions. Facebook users can download the Facebook Messenger app free of charge. To make money transfers in the messenger, you will have to link a valid debit card. You can not link a bank account or credit card to your account at this time. Similar to Square Cash, there are limitations to the number of personal transactions you can perform. The Square Cash app is simple to use and very convenient. The main point to consider is the limitations on personal transactions. For users wanting a straightforward app to use once in a while to send and receive small amounts of money, this is a perfect choice. Additionally, if you enjoy it and recommend a friend or family member to sign up, you will get a referral bonus when they use their account in the first couple of weeks. Nowadays, financial flexibility is very important. We must be able to use or transfer our money in a convenient and timely manner. Thankfully, there are now services like the Square Cash app that allows us to do just that. Read on below to find out what this service is all about and how you can use it to your advantage. Square Cash is an online payment and transfer facility. It is designed to make money transfers between friends and family easier and faster. Yes it is. Square Cash uses encryption and security features that are also used by a lot of banks and credit card facilities. Yes it is. Square Cash has been in operation since 2013, and it has already been downloaded 5 million times by Android users. Yes it is. In fact, you can transfer up to $10,000 any time of the day, seven days a week and it will appear in the receiver’s account instantly if you use the Instant Deposit feature (1% fee included). Yes it is, but only if you use your linked debit or bank accounts to transfer money. If you use your credit card to transfer, you will be charged a fee. Using Square Cash is easy. You just need to create an account by entering either your mobile number or email, your debit or credit account, and then you can already start transferring money. You can use Square Cash in two ways. You can download its mobile app (available in both iOS and Android) or you can transfer money directly from their website. By default, your deposits via Square Cash will appear the following business day. But if you want instant transfers, you can avail the Instant Deposit feature which has a 1% fee. If you want to delete your Square Cash account, you can easily do it by navigating to your account settings in your Square Cash online dashboard and opting to deactivate your account. While most of Square Cash’s services are free for individuals (except the Instant Deposit feature), Square Cash makes money by charging additional transaction fees to its business clients. To get a Visa-powered Square Cash debit card, you can order it directly from Square Cash’s website. You must fill out forms and must adhere to certain requirements (e.g. must be 18 years old and above) to be granted approval for the card. A lot of people have began using Square Cash due to its ease of use. To date, 5 million downloads on Google Play store alone. It is also very affordable, as you don’t even have to pay anything if you don’t need to use any of its advanced features. You actually do not have to connect a cash drawer to Square as it already has a cash drawer function built-in. You just need to enable it via settings to being managing your payment transactions. Yes you can. You can use your credit card to transfer money via Square Cash. However, you will be charged a 3% transaction fee if you use credit cards. It is very easy to sign up for Square Cash. You can register via its website, or through its easy-to-use mobile app. After that, you will then have an account from which you can send and receive money. No. Square is actually the main service of Square, Inc., and Cash is the new model they introduced just last 2013. Square focuses more on point-of-payment centers for merchants, while Cash is designed for peer-to-peer money transfer. Square Cash does not charge individuals who send and receive money through the service. However, it does implement fees and charges for more advanced services such as Instant Deposit or using credit cards for money transfers. Square Cash is free to use for individuals, and you have a transfer limit of $250/7 days and up to $1,000/30 days. You’ll have pay additional fees, however, if you want to use the Instant Deposit (1%) feature or credit cards (3%). Yes, but only in certain circumstances. It’s main money transfer feature is free for individuals, but you’ll need to pay fees if you want to use either credit cards or the Instant Deposit feature. Square Cash app is the official mobile app of Square Cash. It is available both on Android and iOS, and you can use it to avail most of the features of Square Cash, including money transfer. Depends. If you are just transferring money as an individual to friends or family, then you won’t have to pay anything. But you’ll be charged fees once you avail of advanced features such as Instant Deposit and transferring money using credit cards. Square Cash is owned and operated by Square, Inc., which was founded by CEO Jack Dorsey. Square, Inc. was founded in 2009, and Square Cash was launched in 2013. Square Cash, due to its financial services offered, is actually required by law to ask for SSN, ITIN or other tangible forms of identification for security reasons. Yes it does. Square Cash accepts most forms of debit, credit, and prepaid cards that are issued within the US. For a complete list, you can visit Square Cash’s website. A Visa virtual card on Square Cash allows its users to pay online wherever a Visa card is accepted. This allows online shopping and other forms of online purchases using your Square Cash account. You can easily setup the cash drawer function of Square Cash to manage your transactions. To enable it, simply go to the cash management tab of the settings of the app. Square Cash cards are VISA-powered, meaning they can be used anywhere where a VISA card is accepted. However, the funds that you can use are limited to the amount you have in your Square Cash account. Yes it does. In fact, you can link any debit or bank account with Square Cash for as long as it is powered by VISA. You can even link credit cards and prepaid cards as well. Sending money on Square Cash is as easy as it gets. You’ll just need to enter the amount, enter the recipient’s information (you can use mobile number, email, or Cashtag) and you’re done. Occasionally, some payments may be refunded by Square Cash. This may be due to some form of violation of the terms, or some high-risk activity that was noticed by Square Cash. Sending payments to someone using Square Cash is easy. When using the mobile app or through the website, simply enter the payment amount and the user’s information (mobile number, email, or Cashtag) and hit pay. You will have to create your own Square Cash account before you can start receiving money. However, once you are logged in, you will just need to send your mobile number, email, or Cashtag to the sender so they can deposit money into your Square Cash account. In its default setting, no. But you can opt to use its Instant Deposit feature which allows you to deposit real time to your recipient. You would have to pay an additional 1% transaction fee to use this feature, though. To send or receive money in Square Cash, the sender would need to create his or her own Square Cash account. This can easily be done via the Square Cash mobile app or through Square Cash’s website. The default sending limit in Square Cash is $250/7 days and up to $1,000/30 days. You can, however, request for an increase in limit by sending additional personal details and documents. Unfortunately, Square Cash does not offer its services outside US as of the moment. Your intended recipient must also be based in US, otherwise they won’t be able to receive money from Square Cash. Unfortunately, no. There is no way to directly link your Square Cash account with Paypal. The easiest way would be to link your bank account with both platforms. Yes you can. With the Square Cash card, you can withdraw your funds from any ATM that supports VISA cards. While Square Cash does not charge withdrawal fees, your local ATM might still charge you for the transaction. Cash out means that you’re now ready to transfer your funds in Square Cash to your linked debit or bank account. You can use the standard cash out method (1-3 business day) or the Instant (1.5% fee) for instant cash outs. You can cash out the funds you have accumulated in Square Cash by clicking on the dollar sign in the app and selecting your linked debit card or bank account. Once you open a Square Cash account, you will need to link a debit card or bank account to facilitate money transfer. If you want to transfer your Square Cash funds to your bank account, it’s just a matter of clicking cash out on the app and transferring the funds. If you are unable to send or receive money in Square Cash, it may be due to different reasons. You may have failed to type in the correct information, violated some terms, have an incomplete account settings, or Square Cash may also have been experiencing technical problems. There are a number of ways you can contact Square Cash as it has a robust Support Center available to customers. You can email, call, or send them a private message via social platforms. All information can be found on their website. Most of the time, no. The payments made through Square Cash are usually instantaneous, although there may be times where there is a cancel option on the payment receipt. Square Cash provides live phone support to all its customers. You can get a customer code via their website, and call their hotline (1 (855) 700-6000) from Monday to Friday, 6am-6pm Pacific time. Sometimes we need to get a refund due to a wrong transaction or other reasons. Square Cash allows you to request a refund by clicking the Transactions tab on the app, selecting the payment you want to refund, and stating your reason for the refund request. No. You will need to enter your debit card account details and link it with Square Cash to be able to use its money transfer service. Yes you can. You can have to separate Square Cash accounts if your first account is linked to your email and the second one is linked to your mobile number. Yes it does. You can contact the support hotline of Square Cash at 1 (855) 700-6000. Alternatively, you can also email them or send them a private message in their social media accounts should you have more questions. Rachel is dedicated to helping individuals and families boost their budgets so they can enjoy the lifestyle they deserve. Rachel graduated with a degree in Family and Consumer Sciences. She’s a prolific finance writer, producing tons of articles on different aspects of personal and family budget management. HELOC vs Home Equity Loan: Pros & Cons, Rates + Does Bad Credit Work? Lending Club Loan & Investing Review: Legit? Better Than Prosper?